Disciplining your team members is a difficult but necessary process to help ensure that the goals and actions of your team members are aligned. Effective discipline can be a positive learning experience for both you and your team members if performed correctly. Utilizing strong coaching skills are critical when disciplining your team members. Learning how to use effective discipline as a teaching opportunity and delivering constructive negative feedback in a way that encourages team members to change without demeaning them is critical to the success of your team. 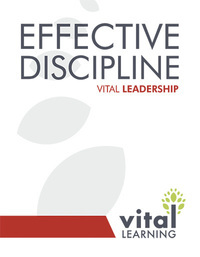 The Vital Learning Effective Discipline™ course provides supervisors, team leaders and managers with the tools necessary to dramatically reduce employees’ problem behaviors. Involving team members in performance discussions and winning their commitment to behavioral change enables managers and team leaders to turn a potentially negative interaction into a positive developmental step. 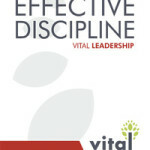 Click on the “e” to immediately enroll and begin the Effective Discipline online course.